BUENOS AIRES – Argentina’s online gambling tax has seen a spectacular failure, having brought in a total of ARS 0 during the course of 2017. Argentina’s online gambling tax not only failed to bring in the revenues expected by the government, but also failed to raise any money at all in 2017, according to new information released in the local press. From January 1st 2017 all online gambling activity of taxpayers in Argentina was subject to a federal tax of 2 percent. 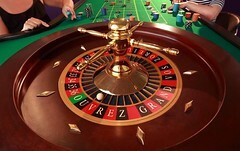 The tax was meant to be collected by credit card issuers when a deposit was detected into the account of a gambling website, regardless of whether the operator was based in Argentina or not. 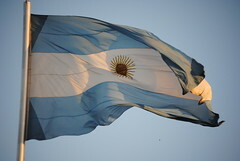 BUENOS AIRES – Argentina’s inflation has continued to see double-digit jumps in tax collections, although the improvement may be attributed the country’s sky-high inflation levels. New information released by the tax authority of Argentina Administración Federal de Ingresos Publicos (AFIP) shows that over the 12 months ending October 2016, the level of tax revenues collected rose by 24.4 percent compared to the same timeframe in 2015. Over the 12 months tax authorities collected a total of ARS 167.196 billion, compared to the last year’s 12 month total of ARS 134.417 billion. The significant rise in tax collections is not the highest seen over the course of the year, as total tax collections for the 12 months ending September 2016 were 30 percent higher than in the previous year. BUENOS AIRES – The government of Argentina hopes that a newly approved tax amnesty will help pay for years of unpaid pension payments. In a vote held on June 29th the Senate of Argentina approved a new temporary tax amnesty programme aimed at boosting tax revenues and to repay owing debts to pensioners. The tax amnesty will allow taxpayers in Argentina to declare their previously hidden assets and funds, in exchange for lowered penalties and fees. In order to participate in the programme, taxpayers will not only need to declare their assets, but also either make a cash payment to the government or buy bonds or make an investment which would benefit the country over the long-term. It is expected that the declared assets will be taxed at a rate of up to 15 percent. BUENOS AIRES – Argentinian farmers will soon breathe a sigh of relief, as the government aims to drop taxes on the export of agricultural commodities, though the move is raising fears that a flood of products on the market will push international prices even further. On December 15th the newly elected President of Argentina Mauricio Macri announced that he has agreed to new tax measures aimed at easing the burdens faced by the national agriculture sector. The President announced that the export taxes previously levied on wheat, corn, beef and sorghum will be eliminated entirely. Currently exports on wheat and corn are set at rates as high as 23 percent. BEUNOS AIRES – Tax collections in Argentina have continue their astronomical rise, with the government claiming that their crack down on evasion and compliance are responsible for the growth. On November 3rd the tax authority of Argentina Administración Federal de Ingresos Públicos (AFIP) announced that tax collections in the country over the month of October have undergone significant growth, rising by an estimated 40.8 percent compared to the level seen over the course of the same month in 2013. The total tax revenue collected over the month of October reached ARS 104. 6 billion, while in October 2013 the level of revenues only reached ARS 74.3 billion.